Dr. Micheal Rohs is now with LMU München. Dr. Michael Rohs is a senior research scientist with Deutsche Telekom Laboratories at TU Berlin. His primary research interests are in pervasive computing and mobile interaction. This includes the integration of physical and virtual aspects of the user's environment, sensor-based mobile interaction, and handheld augmented reality. His research currently focuses on small-display interaction, in particular navigation and visualization techniques for spatially aware displays. An example is using camera phones as magic lenses for large-scale paper maps in order to overlay personalized, up-to-date information. As part of his doctoral dissertation he developed camera-based interaction techniques for mobile devices, like optical flow control for large public displays and a marker recognition system for camera phones that uses device orientation as an input parameter. In the winter semester 2007/08 he had a guest professorship (Vertretungsprofessur) for User Interface Engineering at the Bonn-Aachen International Center for Information Technology (b-it). In 2005 he obtained a Ph.D. in Computer Science from ETH Zurich, Switzerland. From 2000 to 2005 he was a research assistant at the Institute for Pervasive Computing, headed by Prof. Dr. Friedemann Mattern. 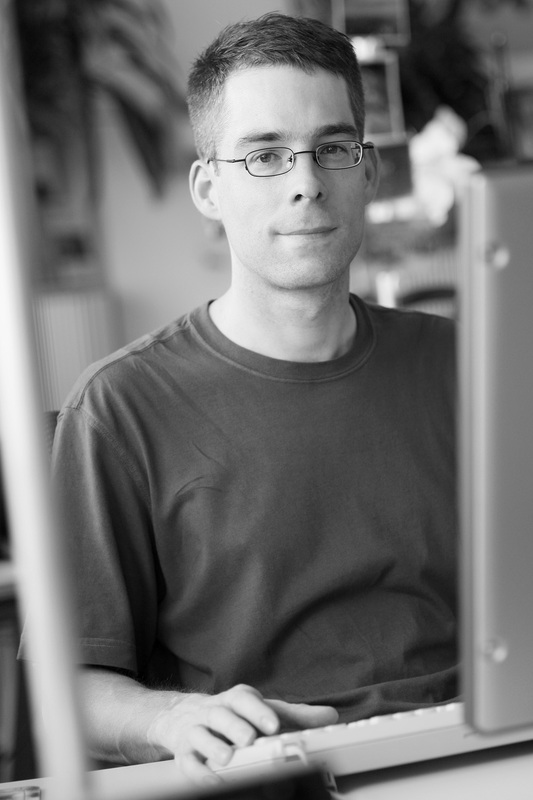 His dissertation entitled "Linking Physical and Virtual Worlds with Visual Markers and Handheld Devices" was awarded the Fritz Kutter Preis 2006. In 2000 he received a Diplom in computer science from Darmstadt University of Technology, Germany, and in 1998 a Master's degree in Computer Science from the University of Colorado at Boulder, USA. Mobile Interaction with the "Real World"
Workshop on Designing and Evaluating Mobile Phone-Based Interaction with Public Displays at CHI 2008, Florence, Italy, April 5, 2008. Proceedings of the 9th International Conference on Human Computer Interaction with Mobile Devices and Services (MobileHCI), Singapore, September 9-12, 2007. Excellent Paper Award (Silver Medal). Proceedings of the International Computer Music Conference (ICMC), Copenhagen, Denmark, August 27-31, 2007. PhD thesis No. 16193, ETH Zurich, Zurich, Switzerland, August 2005. Fritz Kutter Award 2006 (ETH Life article). In: Ralf Grötker (Ed. ): Privat! Kontrollierte Freiheit in einer vernetzten Welt, Heise-Verlag, ISBN 3-936931-01-1, pp. 195-245, March 2003.